I’ve done a lot of inner work around feeling comfortable telling my story. I am sharing it to show you that you are not alone, and to help you find the missing piece of your own health journey. I used to think that to be ‘skinny’ I needed to skip meals, take laxatives, over exercise and cut out fat and carbs from my diet. The scales ruled my life. I didn’t understand what the difference between muscle and fat was, I exercised twice a day and weighed myself multiple times a day to make sure I wasn’t gaining too much weight. I had a terrible relationship with food all my life, from secret eating in my childhood, to binging and restricting as an adult. On the outside I appeared slim and confident in my appearance so no-one knew I secretly battled a bad relationship with food and my body. Where did all this pressure come from? From the age of 11, I was prime target for the school bullies for being overweight. I spent all of my late teens and 20’s in a pursuit of the ‘perfect’ body, always moving the goalposts and demanding more from my body. I had to get really unwell to realise what finally mattered. 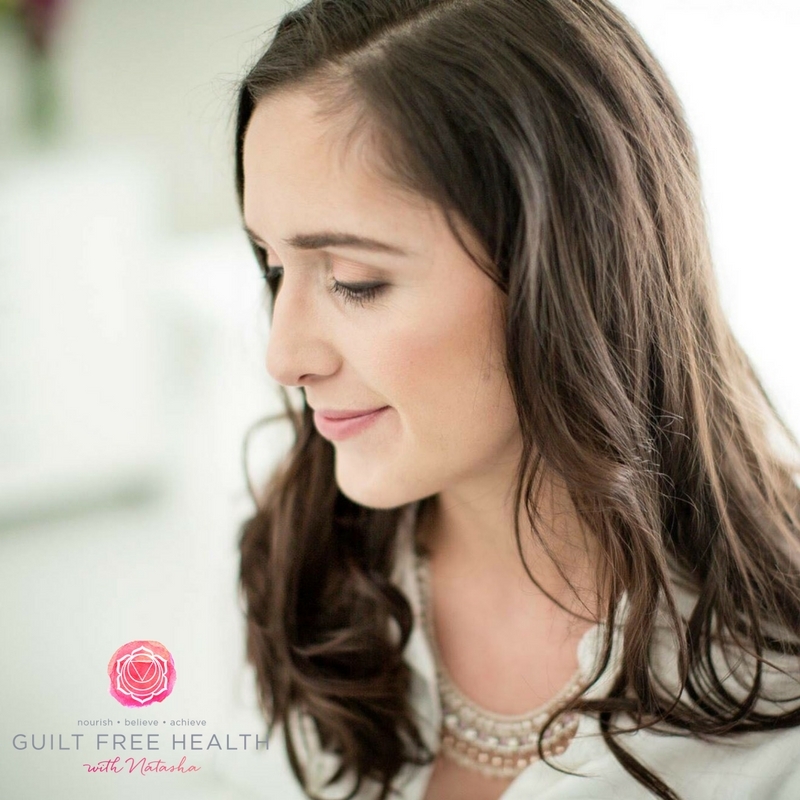 In my mid 20’s I suffered with food intolerances, adrenal fatigue, fertility problems and slipped disks because I was pounding my body with exercise and under nourishing myself. My hair was falling out and my periods had stopped. Food and exercise was used as a punishment or coping mechanism rather than as nourishment and enjoyment. I studied nutrition and started to apply it to myself. I began to see the power of a real, whole food diet. One where I didn’t count calories and ate lots of fat and carbs at specific times! I healed my adrenal fatigue and fertility issues naturally and went on to have my son, Jenson now 16 months old. This inspired me to qualify as a nutrition coach and my experiences are the foundation of my whole business- the food I create, the programmes I have that help women lose weight SAFELY. Although I had seen the huge potential and healing power of natural food, something was still missing. I’ve been a size 16 and a size 6…and I was just as unhappy with my body as a size 6! Why? Because being slim doesn’t equal happiness. No matter how much weight I lost, I didn’t believe it was good enough or that I was good enough. Being kind to myself and practicing self love was alien to me and this reflected across my life, in my personal relationships, my relationship with food and my lifestyle choices. If deep down you feel “I am not good enough’, this impacts on every area of your life, especially your relationship with food and your body. In 2016, when I had my miracle baby Jenson, I was forced to work on my view of myself after suffering traumatic birth injuries and experiencing post-natal depression. I could not come to terms with my injuries, truly believing I would never find love after the breakdown of the relationship with Jenson’s dad. My injuries meant I could no longer exercise the way I used to. I couldn’t even stand for long periods of time to cook my health food range, Naturally Guilt Free. I felt broken. I spent some time feeling like a huge part of my health and identity had been stolen from me. I sank deep into a state of ‘I am not good enough’, one of the darkest times of my life. I am lucky I had good family and close friends to lean on. I began a journey of self development and recovery through self love and slowly the conversation I had with myself started to change from one of self-loathing and body-shaming, to one of self acceptance and self appreciation. I shed the baby weight and my weight stabilised at a size 10. I had suffered life changing birth injuries but I loved and accepted my body more than I ever had and I found love again because I loved myself first and foremost. Self love is different for everyone. For me it was appreciating my body had grown and given birth to a beautiful healthy baby. Reminding myself “I am enough”. Making time to make and eat foods that would not set of my intolerances. Making the decision to end my relationship with Jenson’s dad. Leaving my social work career for the sake of my health and wellbeing at a difficult time in my life. I attended a self love course and ran a 25 day self love challenge for some of my VIP clients and I hugely benefited from it too. All these were mini acts of self love that had a life-changing impact when combined. In the past I may have resorted to binge eating and emotional eating, but during this time I loosely followed my Transform25 programme and my baby weight dropped off almost effortlessly. I realised SELF LOVE IS KEY TO TRANSFORMATION and gaining control over your eating habits. Your view of yourself. How you treat yourself. These things are all reflected in your eating habits, relationship with food and yo-yo dieting. Self love is a key ingredient to having a healthy relationship with food. In December 2017 I rewrote my Transform25 programme to include this essential element and run regular free self love challenges for my followers and customers (sign up for the next one at the end of this blog!). It took me 13 years of struggles, illnesses and life-changing injuries to truly find happiness, self acceptance and body confidence. It doesn’t have to be this way for you! My programmes and coaching have a unique approach to weight loss, one that combines nutrition, self care and self love into a truly transformational experience. If you resonate with this, or would like some help on your own health journey, sign up for my next free self love challenge HERE. If you can’t wait and are ready to transform body and mind and go straight into my hugely popular Transform25 programme, find out more about it HERE.